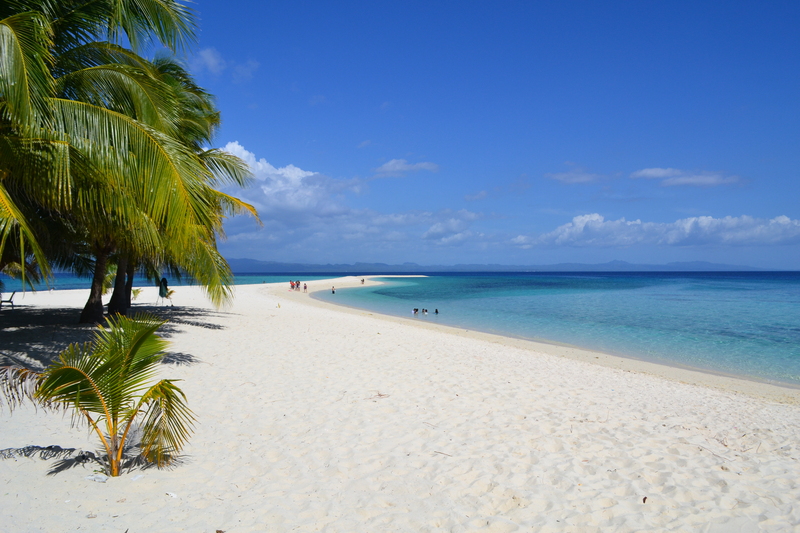 Kalanggaman is a stunning Philippine island destination located between Leyte and Cebu. 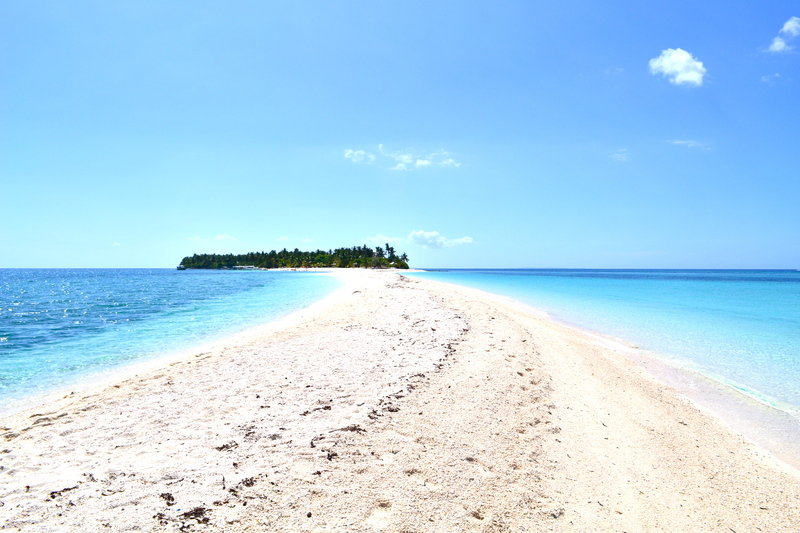 During my first visit to the island in 2011 the town of Palompon in Leyte served as our jump off point to Kalanggaman. 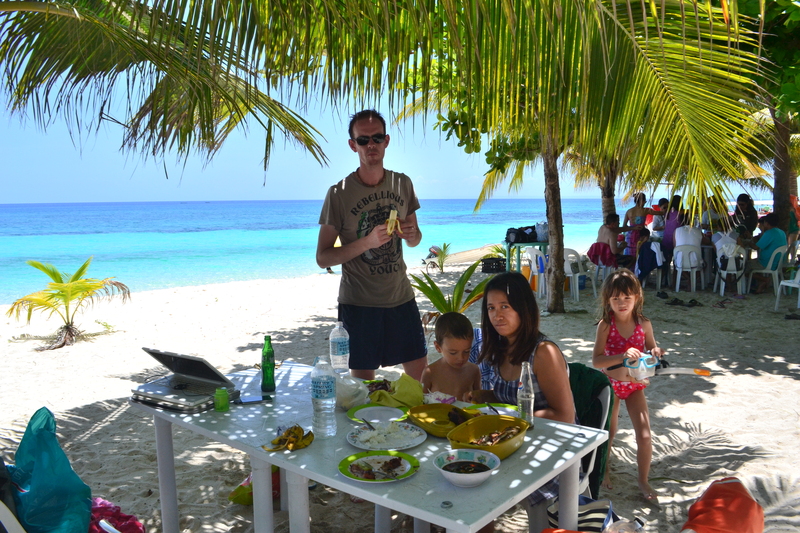 In 2013, I planned my second trip to the island from Malapascua in Cebu where I was spending holidays with my friends, a Dutch and Filipina couple, with their two adorable kids. I wanted them to experience the island too. 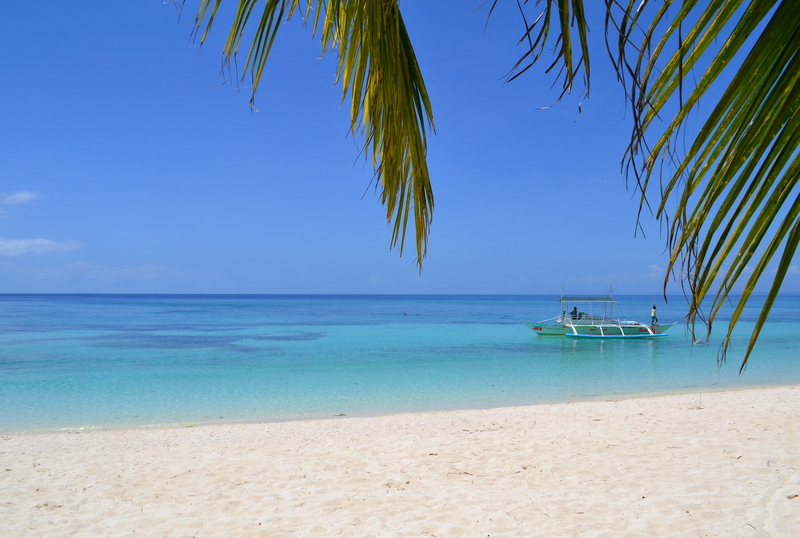 It was a lovely day as we left our base, Malapascua Island in Cebu. We took a boat right in front of our beachfront hotel. Oh yes, we were all excited. 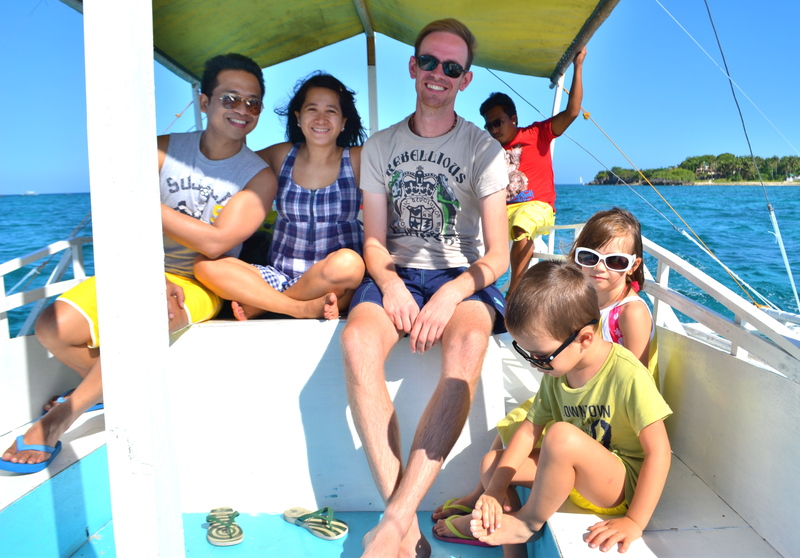 Our boat was small so it took us around one and a half hours to reach the island. 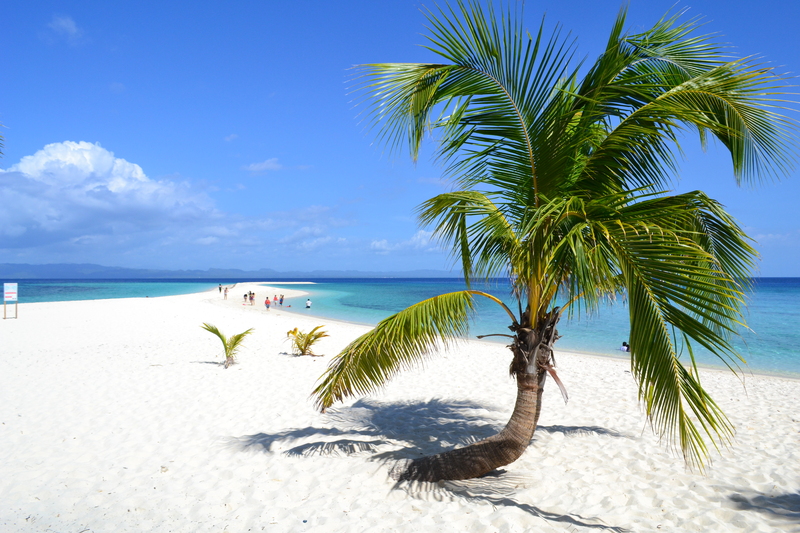 A bigger boat can reach the island from Malapascua in one hour or less. The approach to the island gave me goosebumps. 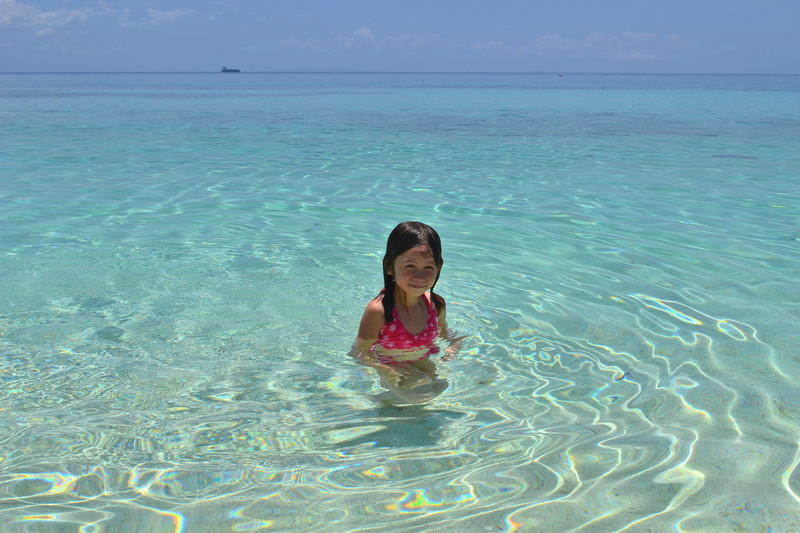 The aquamarine waters around the island were stunningly clear. The eastern sandbar was visible creating a thin white line along the horizon. 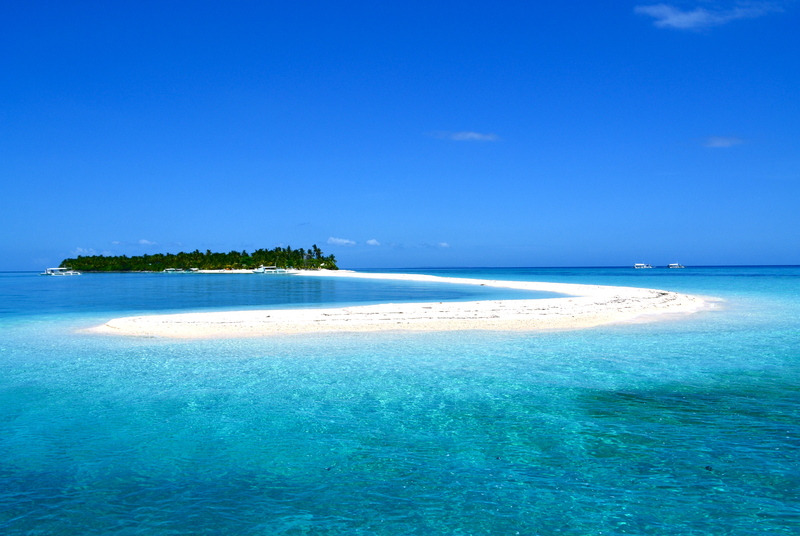 The sun was almost mid-morning high and it made the stunning sandbar shimmered as we passed through it. 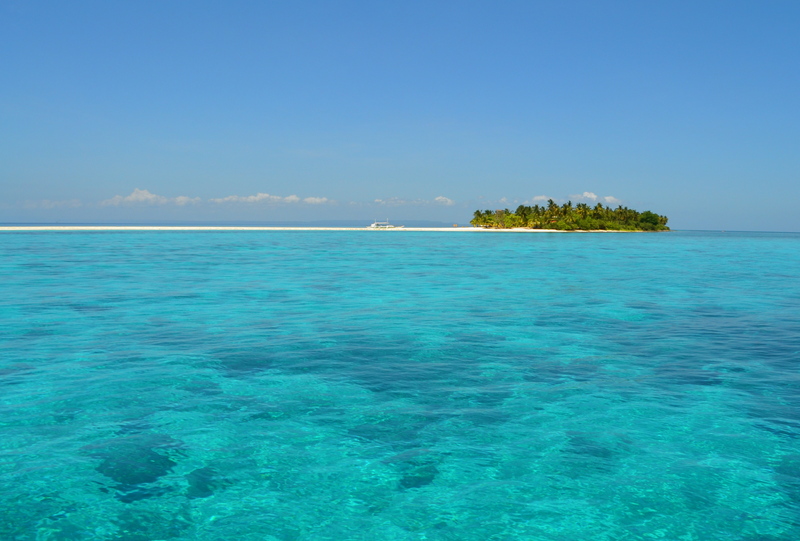 I was caught between fainting and taking the perfect shot of the breathtaking view while the boat was drifting fast, curving the sandbar towards the northern shore. And this was the end of the sandbar. The north shore approach was also thrilling because of the glass-like waters. Finally, a signage of the island. It was not there yet two years ago. As usual we situated ourselves near the northern beach. The scenery was just a feast to the eyes! 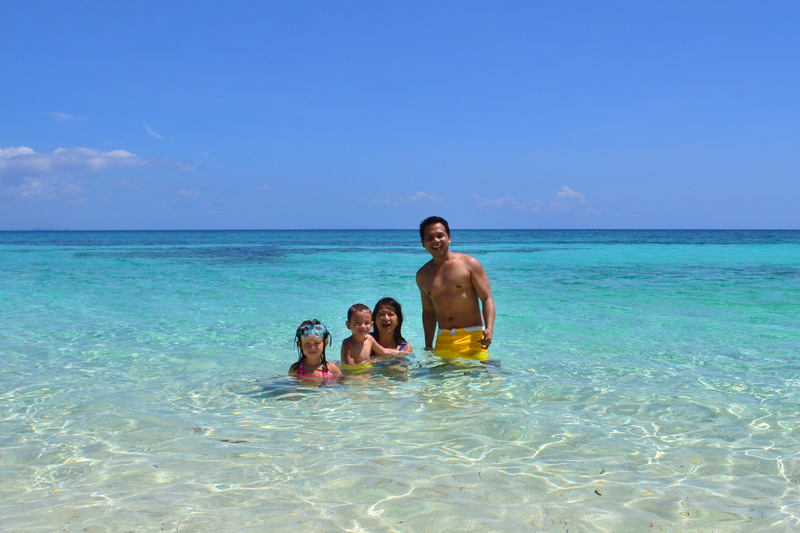 And it was time to dip in the crystal clear waters! Then it was time to take our lunch. The tour operator included our food in the tour package. Chairs and tables were available for rent. 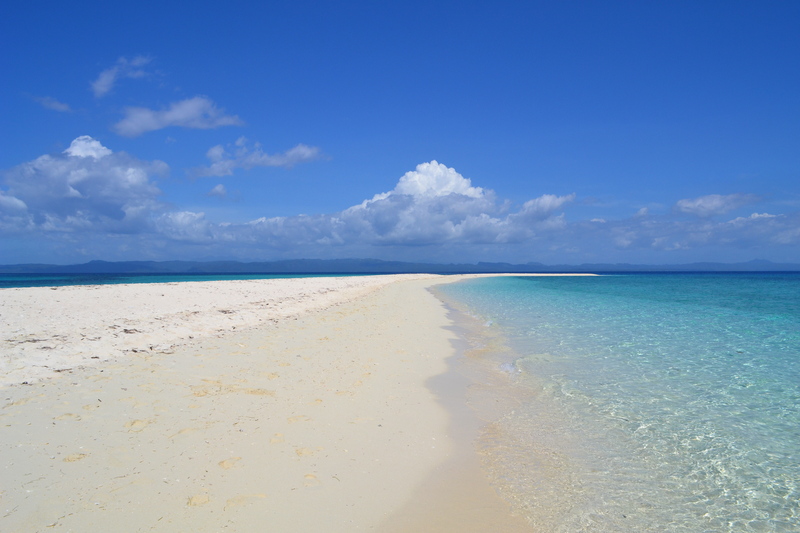 After lunch, we rested for a while and the sandbar caught my attention again. 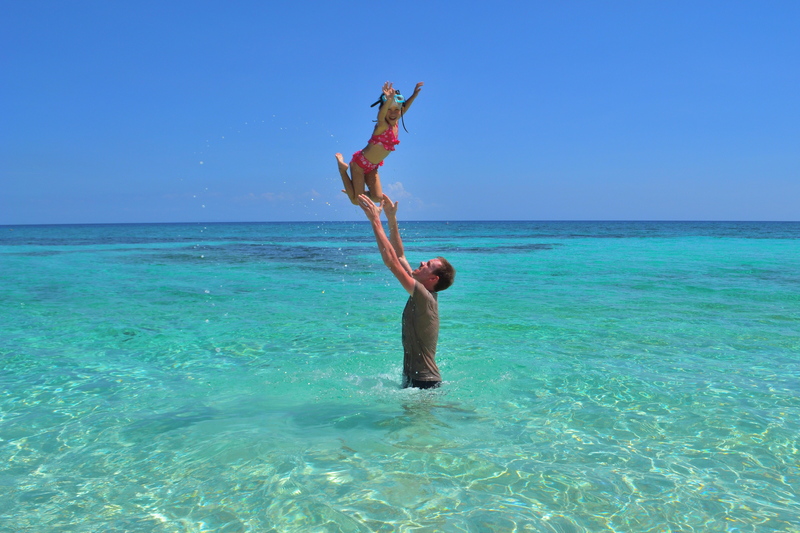 The next activity was to take that long walk to the end of the sandbar. 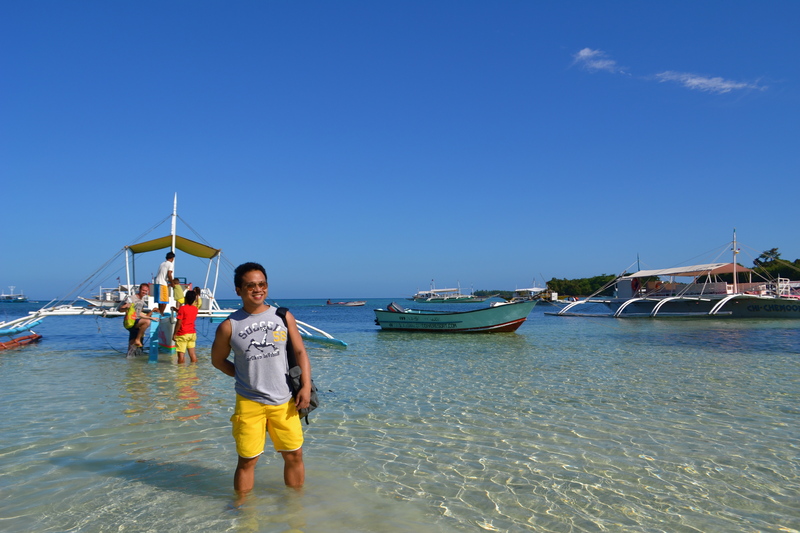 It was time to take my self shot on the sandbar. A few more minutes and I would be at the end of the island. 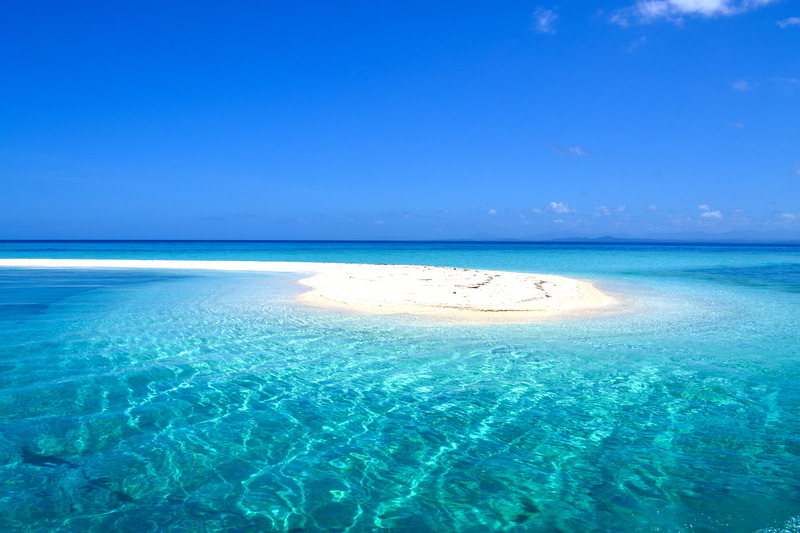 Finally I reached the end of the sandbar. My camera stand was not with me so I positioned the camera on top of a coconut husk, set the timer on, ran to the side of the sandbar and this photo was created. 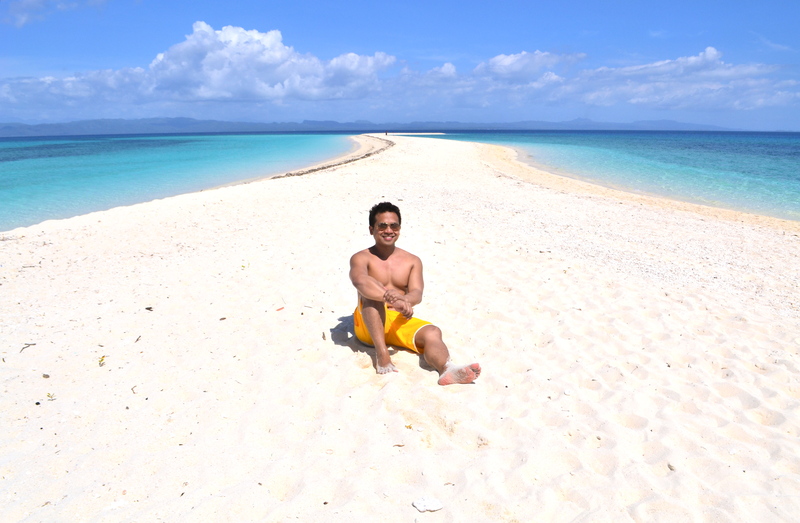 Me and my favorite little island in the Philippines! It was already past noon time and with the sun slowly venturing down to the west, I went back to the main shore as we prepared to leave. 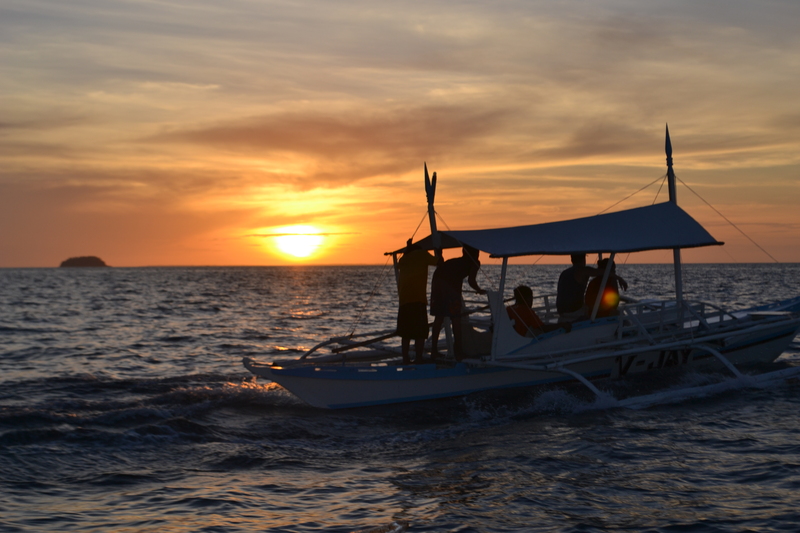 We approached Malapascua as the sun was setting. 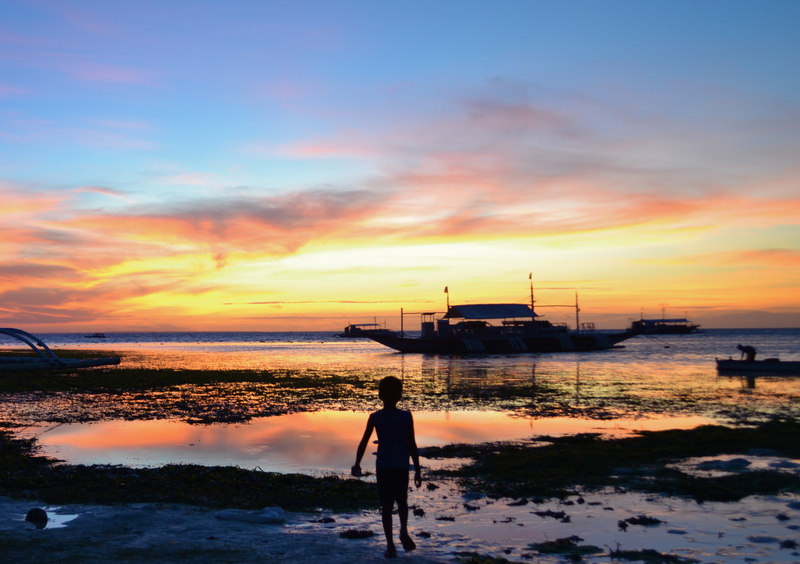 As we reached Malapascua and alighted from the boat we were treated to a stunning display of yellow, pink, red-orange and purple in the skies. 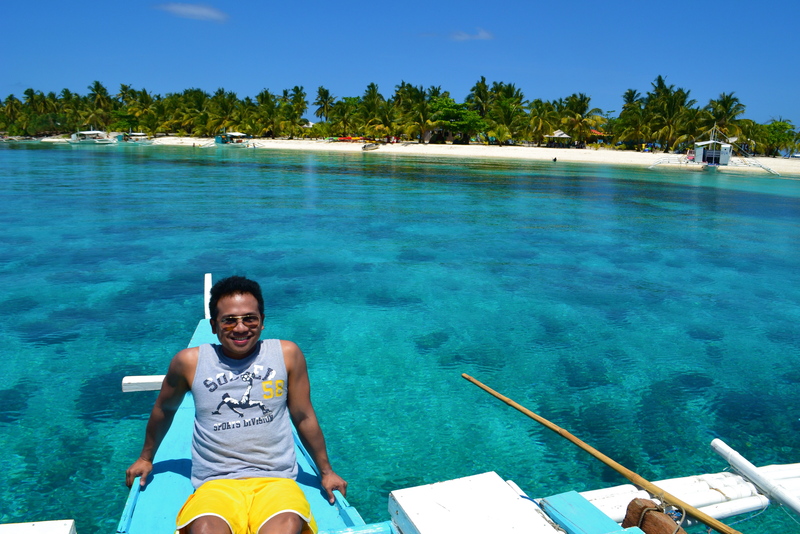 I’d love to take this Malapascua route again to Kalanggaman, an island that I will never get tired of visiting. 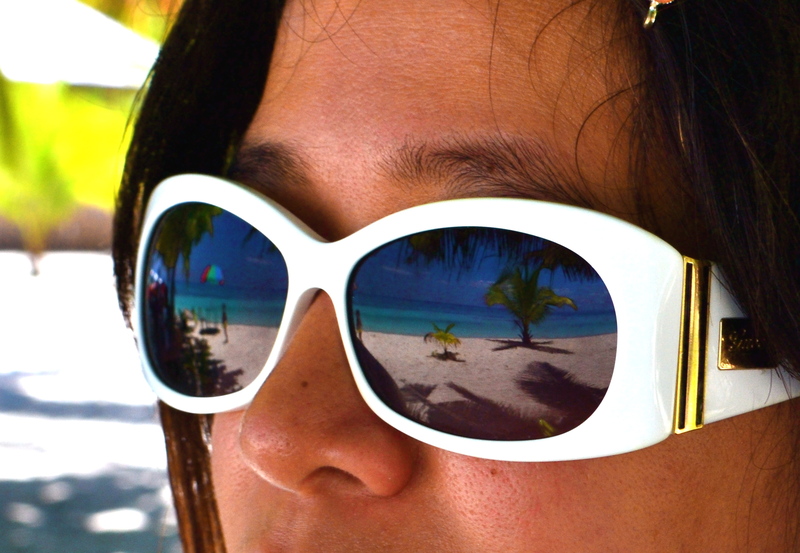 My every visit to the island is always entirely a different experience. 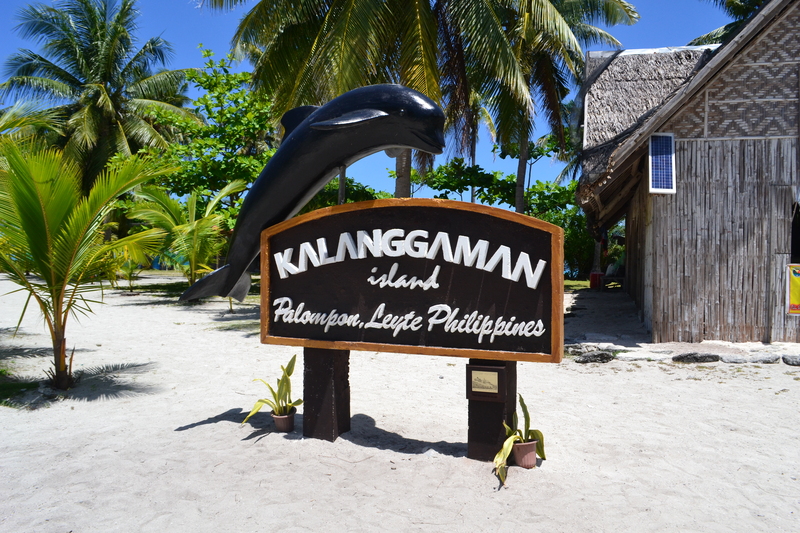 Click HERE for my first visit to Kalanggaman in 2011 where we experienced an unbelievable sunset when we had an overnight stay in the island. I love this! I want to go here! 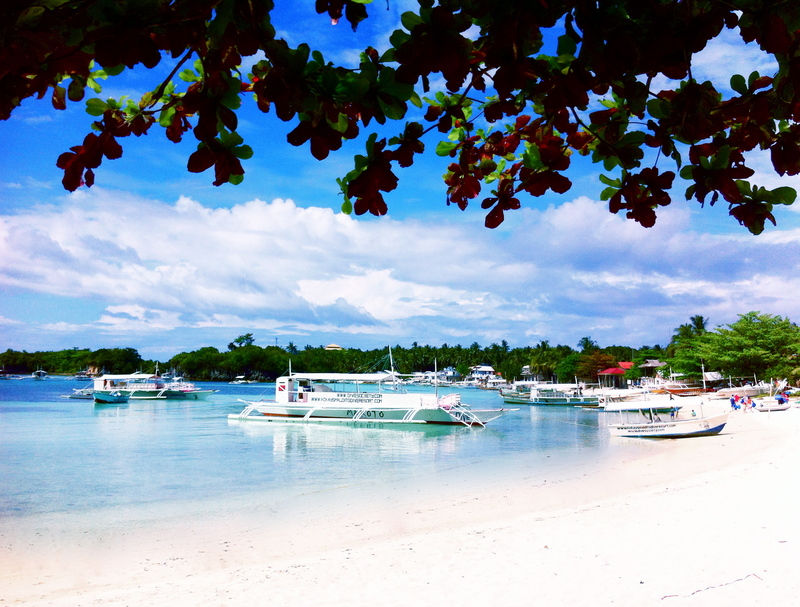 Thank s for this and your list of top 12 beaches in the Ph! Btw can I ask, to go here in Kalanggaman do you have to have travels and tours? Hi Denise, you can email me at eaniban@yahoo.com for inquiries on Kalanggaman.